Howdy! It’s almost Fall and you know what that means, it’s just that much closer to Christmas. So today I went with a Christmas card using the oh so cute digital birds from the Hero Arts Feathered Friends Digital kit. The really nice thing about the digital images is that you can make them any size to fit your project. This kit has 5 birds, one set is outlines and the other set is colored in. It leans towards Christmas but you could just cut the little things they are carrying off like I did and use them for many different things. The first thing I did to start my card was put 4 of the 5 bird images from the Feathered Friends kit into a Word document. Then I sized them to fit my card design. I printed them out on some off white Neenah paper. I colored them with Copics. I cut them out by hand. For the background I stamped, on the same color of Neenah paper, using Hero Arts background stamp Wooden Floor Bold Prints. I used Antique Linen Oxide Distress ink. I used my Misti to keep things lined up nice. The tree was stamped using Oxide Distress inks Vintage Photo and Lucky Clover on kraft paper. I cut out the tree by hand. I used to say I don’t really do fussy cutting but I don’t mind if it is not to “fussy”. The star was also stamped on kraft paper using Fossilized Amber ink. I colored over that with a gold Gelly Roll metallic pen and cut the star out a little smaller than it’s actual size. The star is popped up with foam tape. The star and tree are from Hero Arts stamp set Swirl Christmas. I added the red ornaments or lights on the tree using Nuvo Crystal Drops. Back to those cute birds… I drew the legs on the background and then popped up the birds a little bit with a couple layers of Glue Dots. Sometimes I want things just a little raised up and this did the trick. The sentiment is also from Hero Arts set Swirl Christmas and is stamped with Oxide Distress ink in Fired Brick. 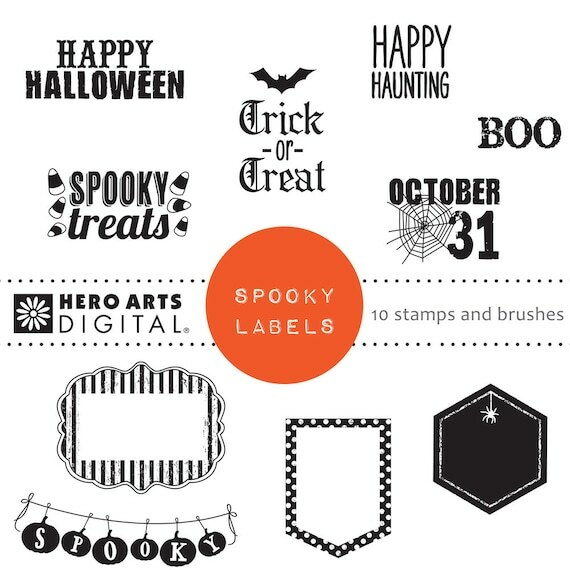 Categories: Handmade Cards, Hero Arts | Tags: a2z Scrapbooking, distress oxide inks, Gelly Roll pen, Hero Arts, Hero Arts Feathered Friends, Hero Arts Swirl Christmas, Karen, kraft, merry Christmas, misti, Nuvo Crystal Drops | Permalink.